We would like to invite you to join our directory for promotion. 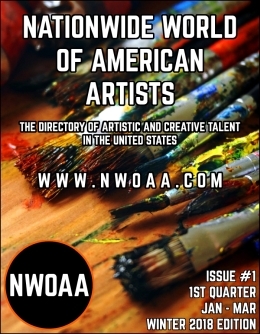 We are the Nationwide World Of American Artists (NWOAA), a brand new directory dedicated to promoting artists of all creative talents in the United States. 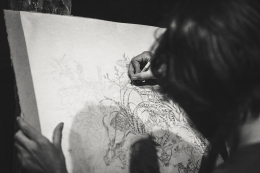 Painters, digital artists, photographers, t-shirt art designers, wood workers, metal workers, mixed media artists, fiber artists such as knitters, crocheters, cross stitchers, embroiderers, sewers, jewelry makers etc., who are serious about their business and produce awesome work for sale are welcome to join our directory. We have a low one time fee which includes a directory listing in your state, with up to three images to show your style of work, a bio, links to your website and social media. We also will occasionally write about your work in our newsletters. Our #1 goal is to create a household name with our directory, providing readers with the most trusted source for finding the best art and hand-crafted products created in the United States. 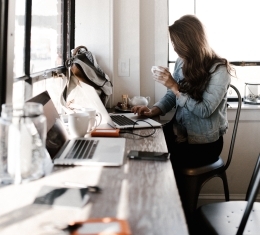 We want to be a part of your success by helping to connect you with buyers who are interested in supporting American talent, and by doing so, helping those buyers successfully support originality and individual talent, rather than mass produced merchandise. There are millions of great artists on this planet, however as an American run directory founded by a United States military veteran who loves art, we believe in supporting handmade products and art produced first and only in America. By buying American talent, you are supporting America. If you are reading this invitation and know a artist or creative person who could benefit from our directory, please mention our website to them. Alternatively you may use the share buttons on this post to share a link on your social media. Please follow our website and our twitter @nwoaart to keep up with our updates and artistic talent promotions. We want to show you how America really does have talent. Posted on September 21, 2017 September 21, 2017 by David ThriftPosted in AlabamaTagged Alabama, Art, Art Promotion, Artists, Directory, Discover, Mixed Media, Photographers, Photography, Promotion, Talent.